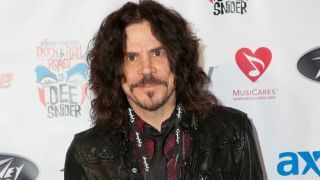 Skid Row have hired former TNT frontman Tony Harnell after the sudden departure of Johnny Solinger. The rock veterans announced they’d split with Solinger after 14 years and moved quickly to bring in Harnell, who recently left Norwegian outfit TNT for the third time. Solinger recorded two albums with Skid Row as well as the first two United World Rebellion EPs after he replaced original singer Sebastian Bach in 1999. Last year, he released a solo country EP called Scrappy Smith. Skid Row will record the third chapter of their United World Rebellion series of EPs this summer.